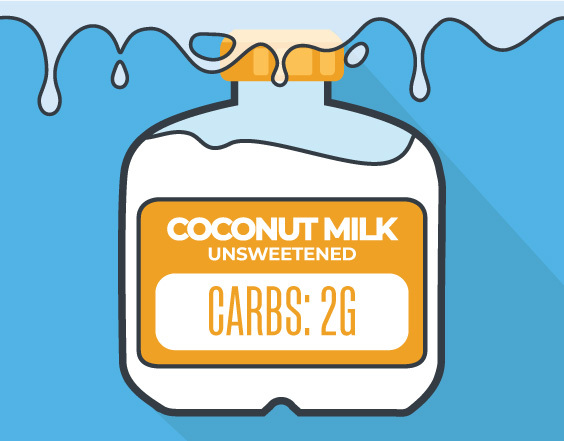 Low carb milk alternatives are a delicious solution to the crazy amount of carbs in milk! That said, one trip down today’s dairy isle can be overwhelming: Hemp, almond, flax, cashew, coconut, oh my! With all these options where do you begin? 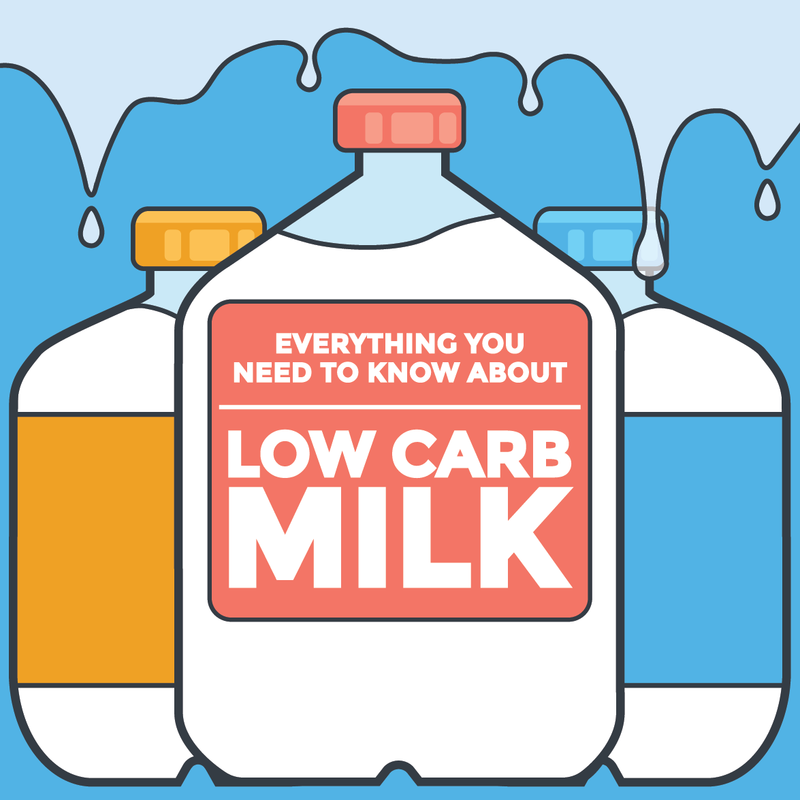 Which is where this ultimate guide to low carb milk, comes in! Below, each low carb milk alternative is broken down by taste, macronutrients, vitamins, minerals, and the pro’s and con’s of each milk and low carb milk alternative, so you can easily select the best choice for you! *This nutritional info is based on unsweetened varieties. Nutritional data will vary by product, so read labels before purchasing your low carb milks. This data is from the USDA Food Composition Databases, and has been rounded to the closest whole number. It’s quite shocking to see how many carbs in milk there, because let’s face it, a glass of milk is no where near as tasty as a cookie! 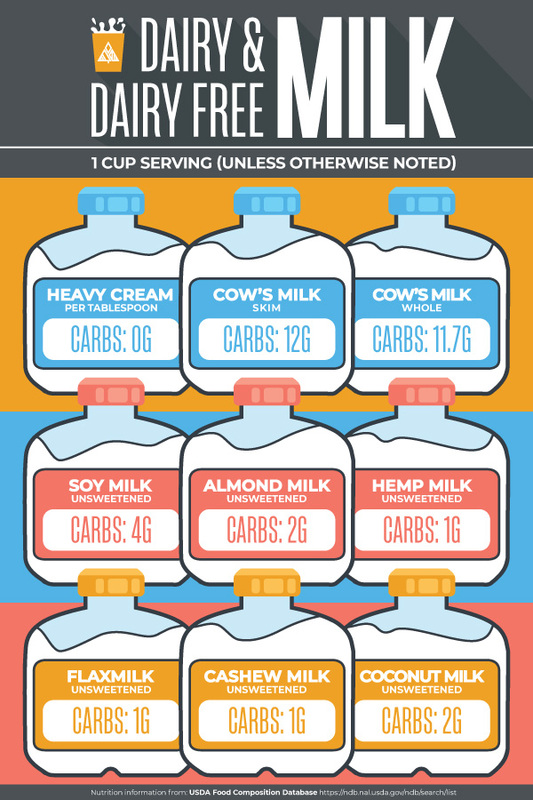 Want this Low Carb Milk Chart in printable form? Enter your email address below and I’ll add you to my FREE email subscriber list, plus send you this in printable PDF form! Download Your Free Printable Low Carb Milk Chart! Milk carbs are sugar carbs called lactose, which is found specifically in milk products. Dairy milk has been our faithful standby for generations. A well known kitchen staple. And while it doesn’t lead the pack of low carb drinks, it registers high in calcium. Especially for folks on a low carb meal plan, the carbs in milk take it right off the shopping list! 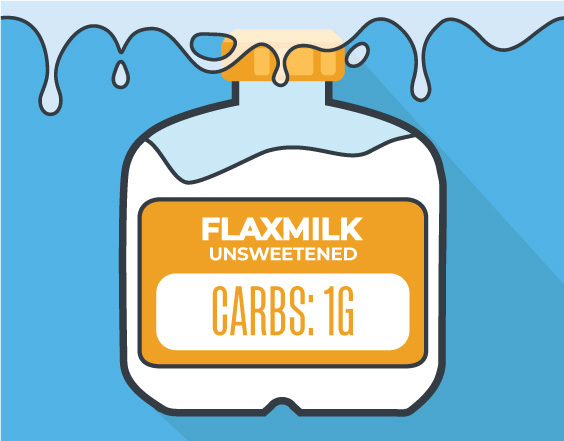 When compared to cow’s milk, these low carb milk substitutes are lower in carbs, plus lower in sugar, calories, and contain more vitamins and minerals than their cow’s milk counterparts. Almond milk is about as close as you can get to regular cow’s milk in terms of color, consistency and creaminess. Plus it’s got 101 mg calcium. 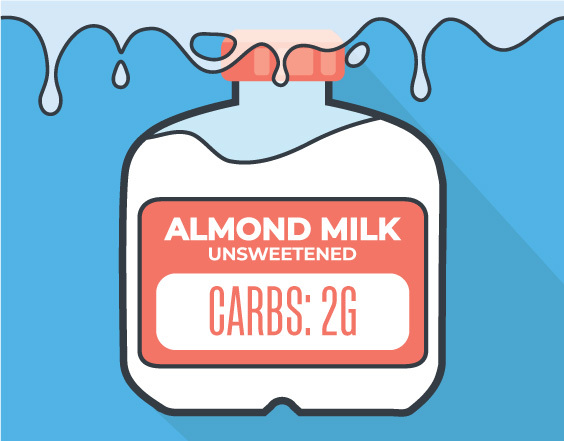 Almond milk is a great companion for low carb cereal, or as an ingredient in low carb smoothies or sugar free ice cream. It’s definitely lighter in flavor and creaminess than regular milk due to the high concentration of water in almond milk. There are many different brands and flavors — I always opt for vanilla almond milk. – 50% of your daily vitamin E needs! – WAY lower in carbs and calories than cow’s milk. The problem with store bought almond milk is the long list of ingredients added to preserve, thicken and stabilize the products. To avoid these ingredients, you typically have to spend a few extra bucks, although I’ve found the almond milk at Costco to be delicious, organic, and carageen free! Keep your eyes peeled at your local grocery store, the low carb milk Kroger makes is absolutely delicious. Make sure whatever you buy doesn’t have a added sugar. Read the nutritional label, as sugar can be listed under a sneaky name on the ingredient list. If you are feeling adventurous and want to learn how to make almond milk, then follow this guide! It’s literally as simple as: soak, blend, strain, pour, and enjoy. Soy milk has been around for 2000 years. The Chinese were the first to extract the nutrient rich liquid from soy bean plants as an alternative in areas where mammal milk wasn’t a viable option. Similar to almond milk, it’s created through a process of grounding, soaking, and boiling soy beans. Brace yourself. One of the hardest things to literally swallow about soy milk is its rich, chalky, beany flavor. But don’t fret, producers are working with their production process to reduce the strength of the soy bean taste! Just as with almond milk, most store bough soy milks use added ingredients to preserve and thicken the products. That said, Eden Foods Organic Unsweetened Soy Milk uses inly two ingredients: reverse osmosis water and soybeans! Silk Unsweetened Organic Soymilk also contains no “funny business”, as they call it. Flax milk is the new kid on the block, so if you haven’t heard of it yet, don’t feel badly. It’s coming in hot as a low carb milk option due to its super high vitamin content and the fact that it’s easy to make. Plus, it’s a nut and dairy free milk that doesn’t have that bean-y flavor. One serving of Good Karma Flax Milk has 1,200 mg of omega-3’s! Flax milk is thinner and has a very watery consistency. The taste is less potent than soy or coconut milks. If you’re looking for a sweeter kick, try the Vanilla or Original flavors as opposed to the unsweetened variety which can be tasteless. – Zero protein per serving. Good Karma Foods makes a great flaxseed milk. They even make a Flaxseed Milk + Protein, which uses pea protein isolate to crank up the protein content! This stuff can be harder to find, lucky for me it’s at all the major grocery stores in my area! (Albertsons, Ralphs, Vons, and Target). Coconut is an important element in East Asian culture and cooking. In America, we have recently adopted this rich, creamy milk substitute for the creation of low carb foods like curries and soups. It dresses low carb drinks up nicely, I always use coconut milk in my golden milk recipe. Coconut milk has 50% more calcium than cow’s milk. It also gives you a full dose of vitamin C and E for the day which is perfect for your immune system. However, the saturated fat count is the highest of all milk and milk alternatives on our list. I have one word to describe the taste of Coconut milk: Yum. Coconut milk is rich and creamy making it the ideal milk alternative for your coffee. And sweets? You haven’t lived until you’ve tried coconut milk ice cream, or this nice cream recipe! I’m totally biased and think homemade coconut milk is SIGNIFICANTLY more delicious; That said, I often find myself grabbing a carton at the store because I often run out of time to make it. Pacific Foods Organic Coconut is a great option as it doesn’t have as many added ingredients, plus no added sugar. It can be found at most grocery stores around the country for easy pick up. Homemade coconut milk leaves a tingling feeling on your lips from the fat of the coconut. The only ingredients used are dried coconut and water, that’s it! You can make coconut flour at the same time. Believe it or not, hemp milk is made from the seed or nuts of the Cannabis Sativa L plant. But don’t worry, seeds and their byproducts don’t contain THC. Hemp seeds are my jam. They’re loaded with protein. In fact, 3 Tbsp contains 10 grams of protein! Plus Omega 3’s, vitamins and minerals. They’re an awesome addition to any recipe. I love sprinkling them on top of my parmesan crisps and low carb crackers for extra protein. Or over my low carb yogurt bowl! Containing omega 3 and 6 fatty acids, this milk alternative is a hearty, healthy powerhouse. Hemp also has a substantial amount of protein. In fact, they contain all 10 essential amino acids, making them an awesome vegetarian protein source. 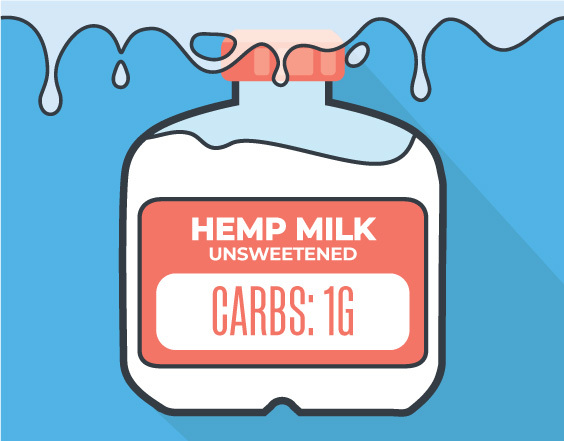 Truth be told, I’ve never had Hemp Milk, but those that have describe it as thicker and creamier than other low carb milk alternatives with a less grainy taste compared to soy. Hemp seeds have a very nutty flavor, so I’d assume the milk has a similar taste. Living Harvest Tempt Milk is a great hemp milk option – be leery of brands that use large amounts of sugar (to cover up the nutty taste of hemp seeds). Making it the most natural transitional milk for all you cow’s milk fanatics. Which is why so many vegan swear by it and use it in everything from soups to smoothies to, “cheese” sauces. Cashew milk contains naturally occurring fats that are said to stabilize blood sugars and ward off hunger. Plus, the unsweetened version has zero sugar per servings and offers 50% more calcium than regular milk per serving. 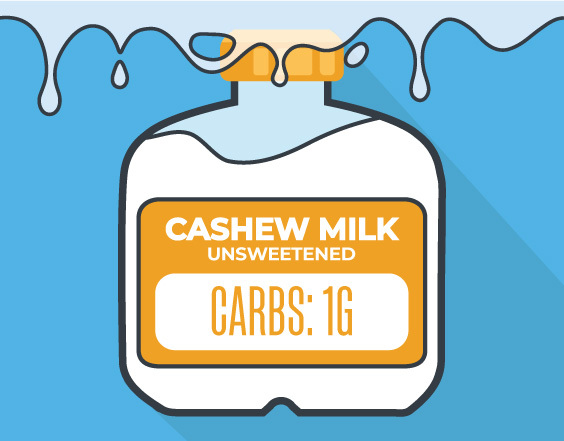 Cashew milk has a thick, rich flavor. As far as low carb milks go, it’s the closest you can find to cow’s milk in terms of texture, consistency and creaminess. 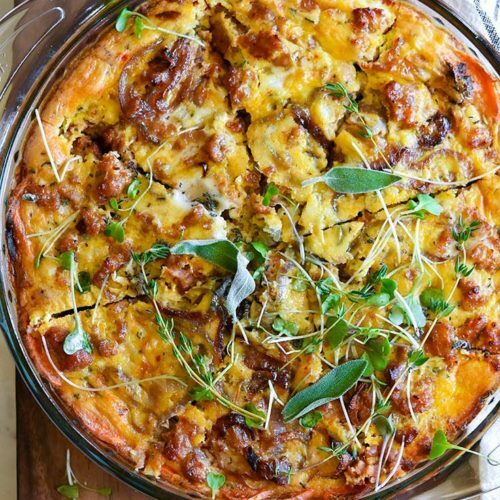 It’s so versatile—it can be used to make everything from low carb ice cream to low carb cheese sauce! Number one cashew brand milk? Silk. They make a wide variety from vanilla to chocolate, to lightly sweetened, to unsweetened — find the best flavor for your taste buds. Carbs in Cream: 1 tablespoon has 0g carbs, 0g sugar, 0g fiber. Similar to cream, there are hardly any carbs in cheese. This is due to the cheese making process, in which lactose is broken down into glucose, then lactic acid—giving cheese its acidic flavor and hardly any carbs! 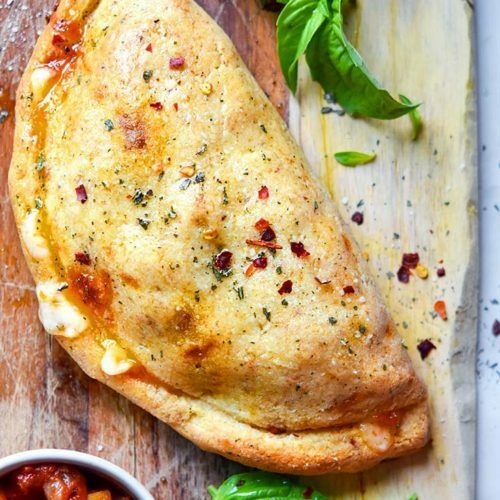 Check out low carb cheeses like goat cheese or brie, which have about 0-0.1 grams per ounce! The amount of carbs in yogurt vary tremendously depending on the type of yogurt you buy. I stick to low carb Greek yogurt like Fage—they’re high in protein and low in carbs. Check out the nutritional label to make sure the product fits your goals. 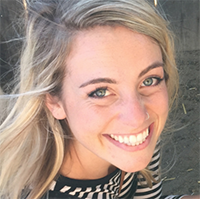 Perhaps you aren’t ready to switch to a dairy free milk, you’re dealing with allergies, or you can’t get used to the change in texture or taste. Have no fear — There are low carb milk brands available! Hood low carb cow milk called Calorie Countdown (it used to be called Carb Countdown Milk). It’s a fat free, low carb dairy milk that promises the same nutrients as cow’s milk but with 56% fewer calories and 75% less sugar, plus 6 grams of protein! Another, even better option is a low carb milk powder. LC foods milk powder offers nearly twice the protein as cow’s milk (17 grams!) 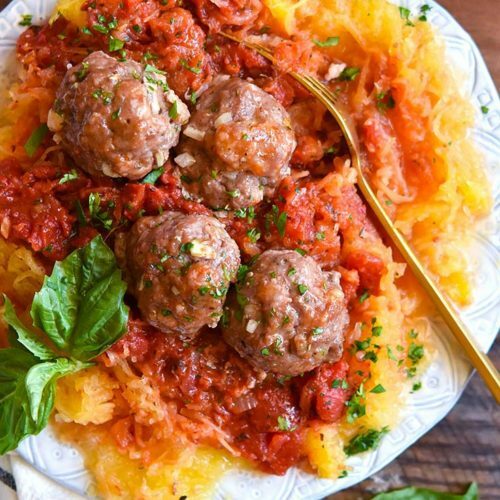 with only 1 carb per serving. Cow’s milk might may be your first choice, but with so many low carb milk options on the market today, you shouldn’t feel restricted. Shop around, try some on, and see which ones fit your needs. Then report back and let us know your favorite! *Nutritional info in this post and this post’s graphics are based on unsweetened milks from the USDA Food Composition Databases, and has been rounded to the closest whole number.